Woohoo!!! My raspberry pi 2 has arrived, and what a difference all that power and ram makes! I’ve had limited time to update this lately, and currently as it stands it fills my needs. I might come back to this at a future point, but for now, if anyone would like write access to the repository to help move this forward, please let me know! 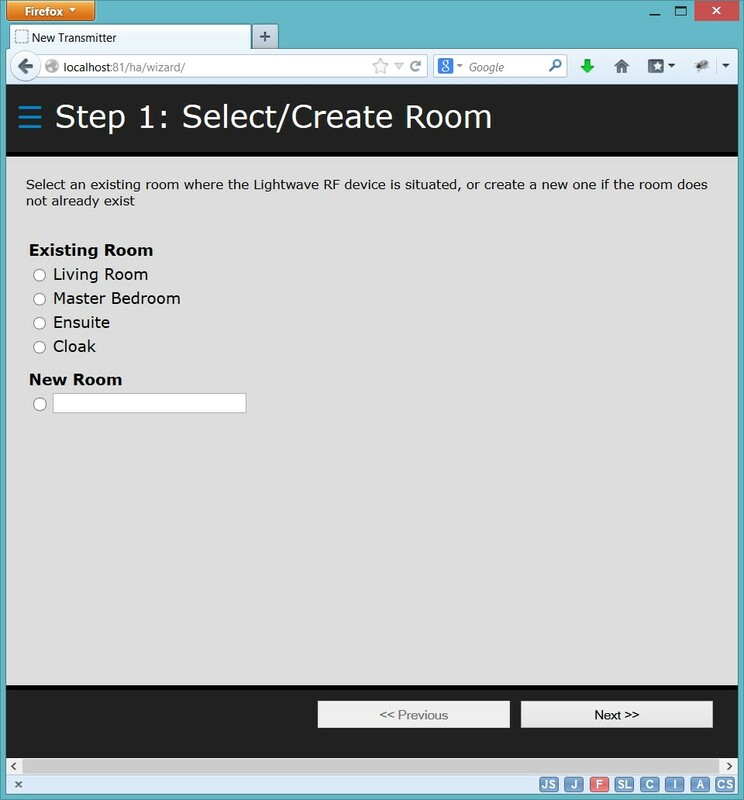 I’ve been working hard on updating the Lightwave RF Control development to take it out of beta. 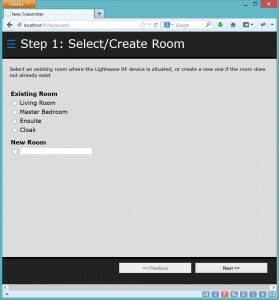 I’ve resolved a number of issues/bugs, added multiple device queuing to the arduino code and therefore the ability to power off/on an entire room as shown in the screen shot below. This required introduction of another serial message format to pass to the transmitting device from the web application, and an separation of some of the serial code/transmission to help with this. It also required rethinking the UI a little to group controls on the screen better, and introduce (and differentiate) the whole room option where there is more than one device in the room. 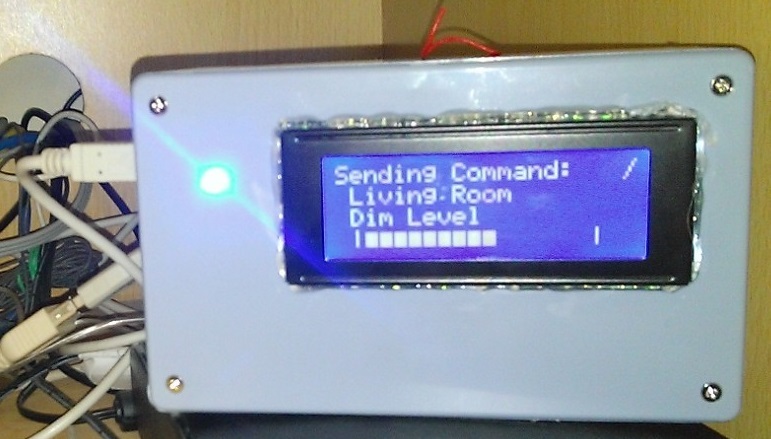 This transmits a queue of devices to power on/off each device in the room sequentially. I’m still ironing out the last few bugs, but this should be released soon for anyone interested once I’ve put the ‘sequence’ code together to allow you to create your own sequences! 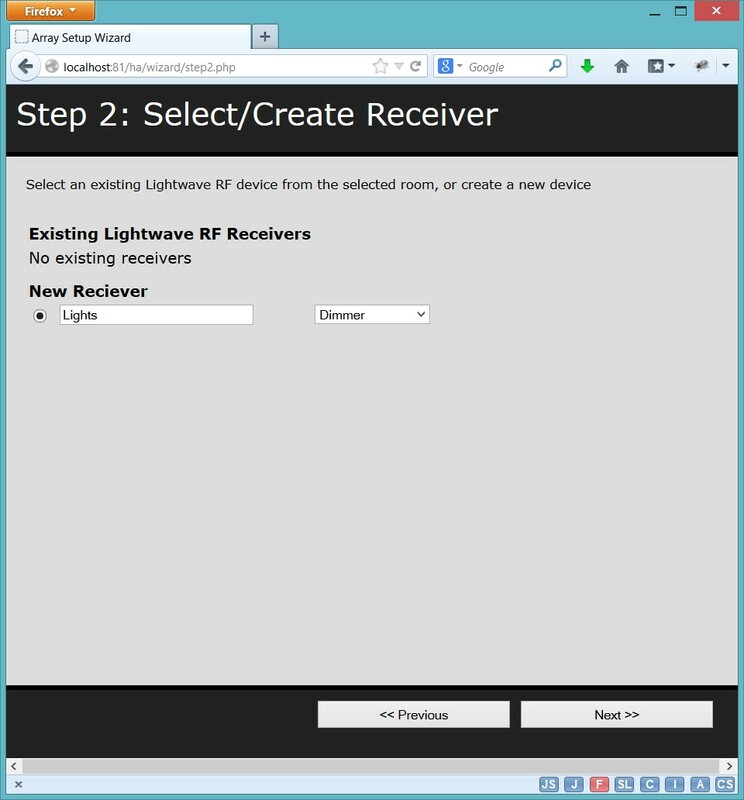 Due to a few requests, here’s the initial release of Lightwave RF Control! 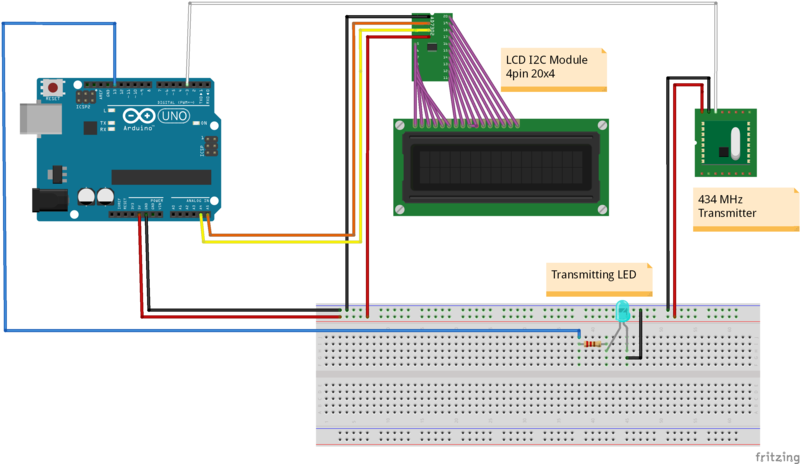 To get this working, you might want to take a look at the write up of the implementation, which details the arduino circuit to put together, and the setup of the php application itself. Like this – buy me a beer? The following describes the process and setup of how I made my Lightwave RF device controller, from an arduino, a few components, and a Raspberry Pi. This post will grow out with more information as I add it, but this in the position now where it’s ready to be put out there. 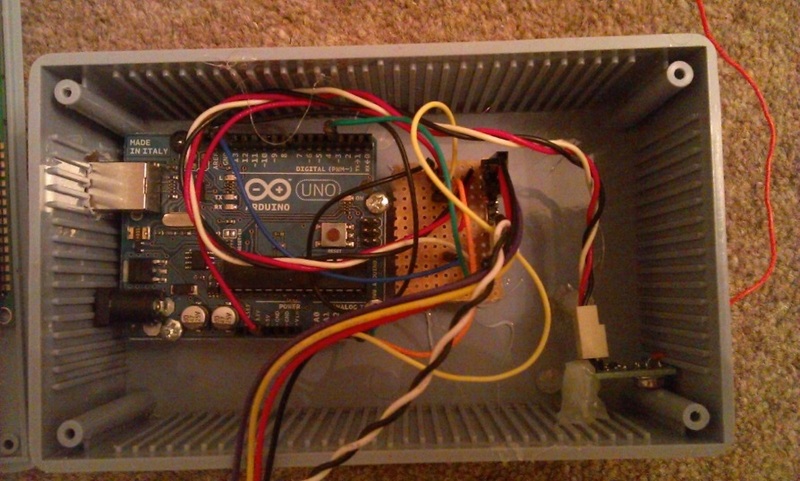 To get this working, you might want to read through the rest of this which details the Arduino circuit to put together, and the setup of the php application itself. Right top – 3 pin connector to the transmitter module. Here I used a screw terminal connector, as my cable was recycled from an old computer PSU so there was only a 3 pin connector on one end. Mount Arduino onto hexagonal spacers using screens. 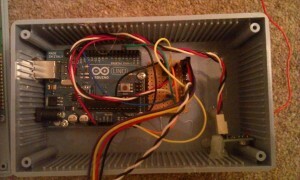 Align Arduino inside project box, mark and cut hole using rotary multi-tool for the USB cable. Glue spacers on strip board, glue to project box base. 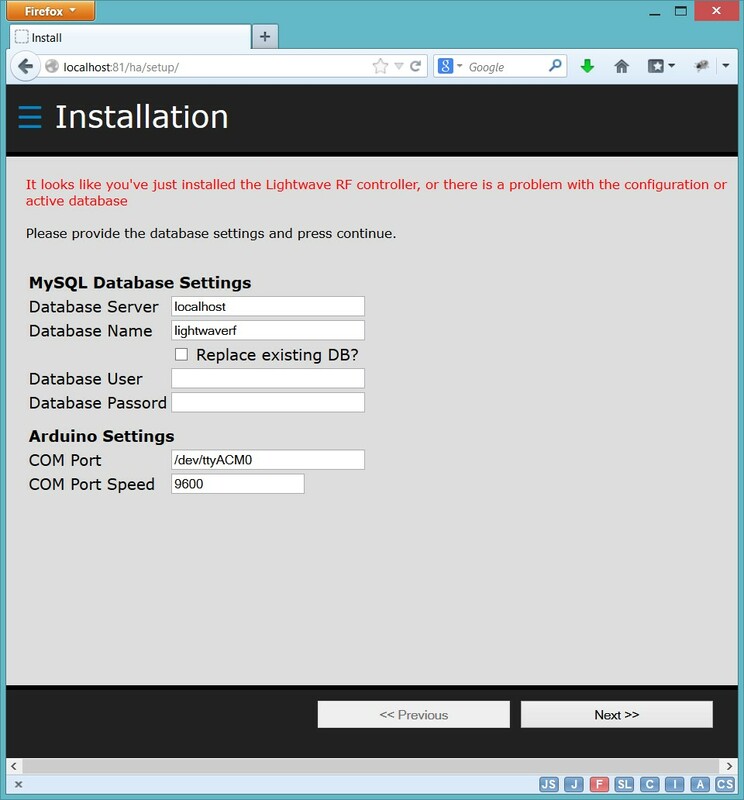 Unzip the developed web application into the webserver. 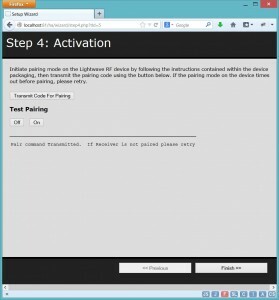 Using a browser on the network, connect into the URL where you unzipped the device to. 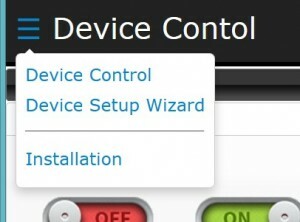 This should open the setup/installation screen. 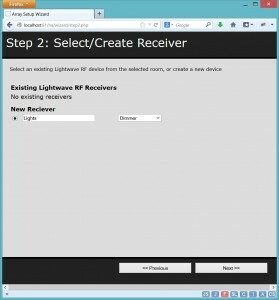 b) Add the receiver (The actual lightwave RF device). Here you add give it a description and select the type of receiver, e.g. 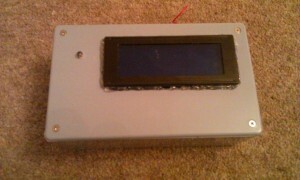 dimmer, socket, relay, etc. 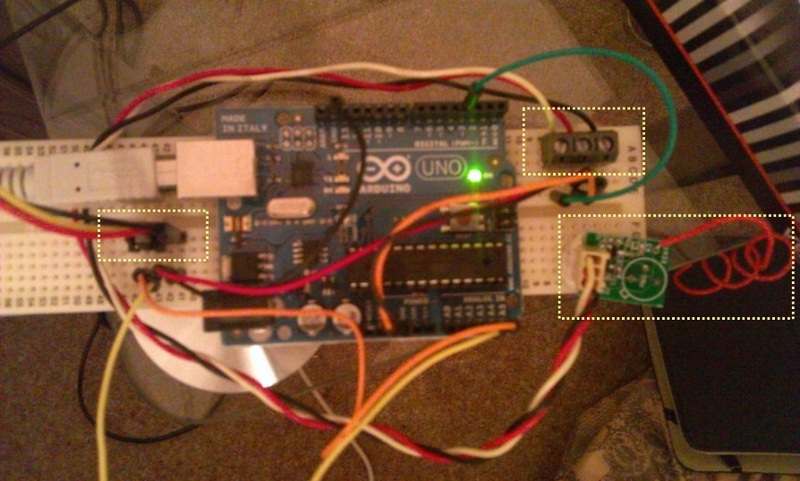 c) Following addition of the receiver is to create a transmitter identifier. This uniquely allows the transmitter to be associated with a single receiver, or multiple receivers. 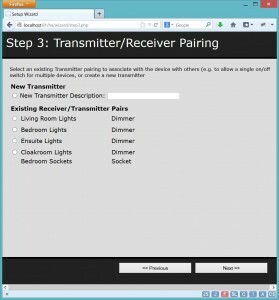 For example, you can reuse the same transmitter for a room to turn on more than one device from the same command. You’ll notice in the following screenshot that the final transmitter covers 2 receivers. If you want the control to be unique, just pick new transmitter and enter a description. 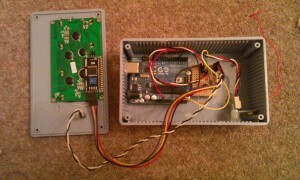 d) That’s enough configuration and your room, receiver and transmitter are all recorded and linked. 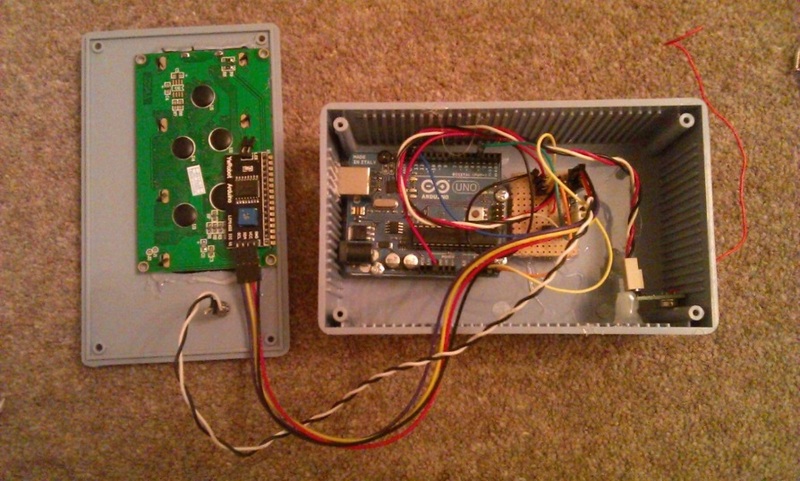 The final stage is to actually pair the transmitter and receiver together. 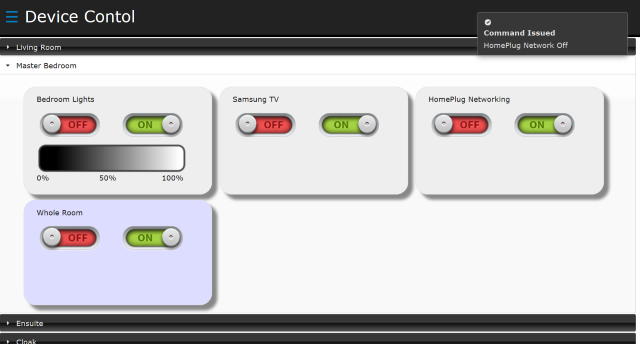 To do this, you need to put your receiver into pairing mode (e.g for a dimmer, hold both buttons. For a socket hold the single button. For relay, push in and hold the pairing button with a pen). Once the device shows it’s in pairing mode (usually by flashing the lights) you need to transmit a code for the transmitter. The wizard allows you to do this, and then once the receiver confirms a pairing, you can test this with the off/on buttons. Once paired, finally press the finish button. 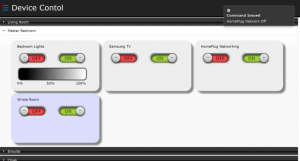 From here you can select the room, and chose to power on/off the devices, and where the device is a dimmer, you can choose to adjust the dim by clicking or touching the dim ‘gradient’ bar. If you want to change the setup or reinstall, you can use the menu in the top left corner. On transmission, it should looks like this!